Late in the afternoon today, I found an emu. Early this week I bought a large #7 boomerang from the traditional owners of the land out here. What you do is hold it up high in the air and dance from side to side. 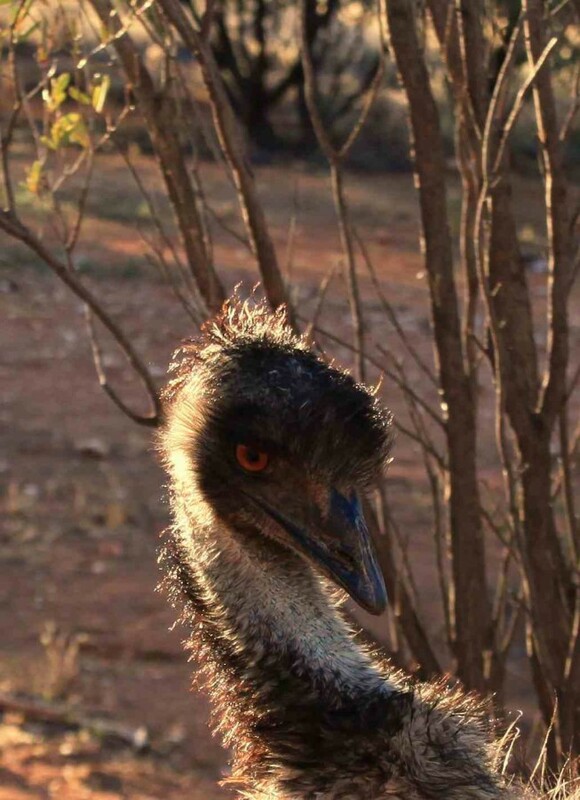 The Emu will walk straight towards you and think you are an emu, or an idiot. Hence how I was able to get this close to a wild emu today. The other trick is to lie on your back and pretend to ride a pushbike. Emu are naturally curious and will walk right up to you. However the boomerang is a good trick to remember, and I will be using it again. Saves getting completely covered in dust, which you want to avoid doing if you can. 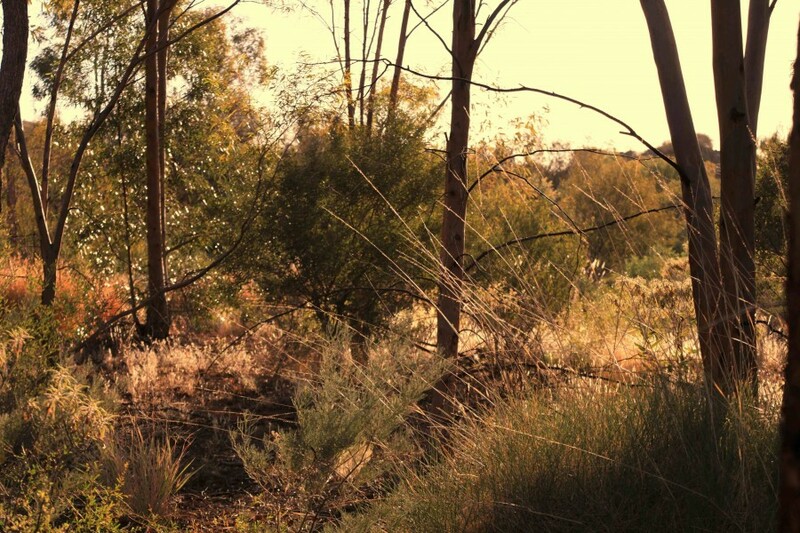 Walking through the golden sunlight is a very unique experience out here, and as the land comes alive and the colours come through the lens as you see it here. It is a really special place. How nice to see a wild bird not afraid of you.